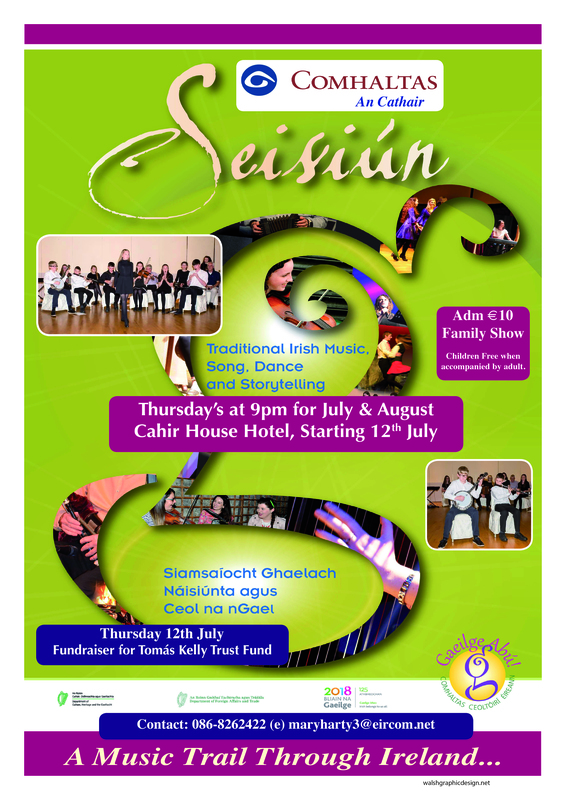 Seisiun returns this summer for 7 weeks in Cahir House Hotel ! Thursday's at 9pm starting July 12th. Adm: €10 and children accompanied by an adult free. The first night ( July 12th ) is in aid of the Tomás Kelly Trust Fund. All Welcome.